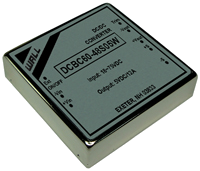 The DCBC60 series of isolated DC/DC power converters provides 60 Watts of continuous output power in a 2.0” x 2.0” x 0.5” shielded metal case. This series consists of 3.3V, 5V, 12V, and 15VDC single output models with 4:1 input voltage ranges of 9-36VDC and 18~75VDC. Some features include high efficiency up to 90%, remote on/off, adjustable output voltage, 1500VDC I/O isolation, -40°C~+85°C operating temperature range, and no minimum load requirement. 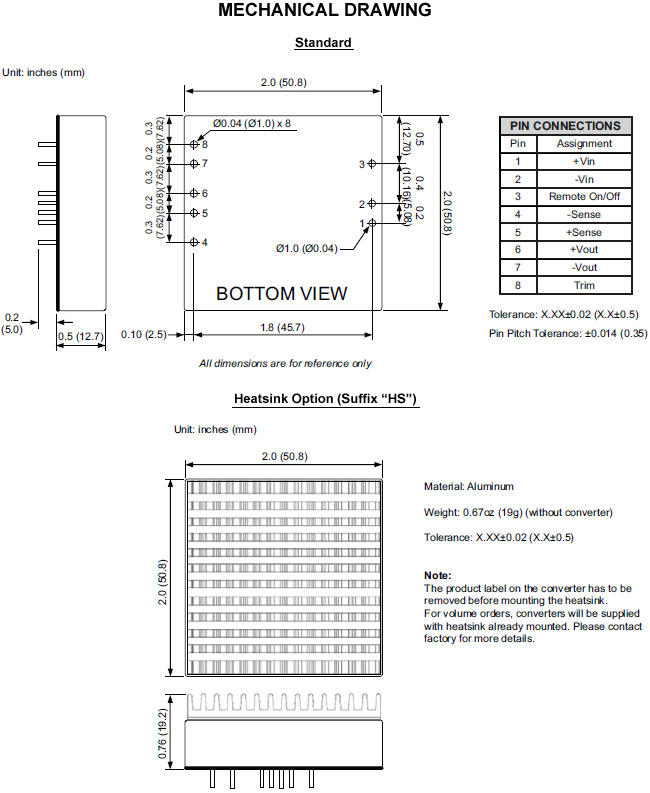 The DCBC60 series is RoHS compliant and has short circuit, over load, over voltage, and over temperature protection. These converters are best suited for use in battery operated equipment, measurement equipment, telecom, wireless networks, industry control systems, and anywhere where isolated, tightly regulated voltages and compact size are required. Notes: For heatsink add the suffix "HS" to the model number.